Cave pearls are a curious phenomenon. 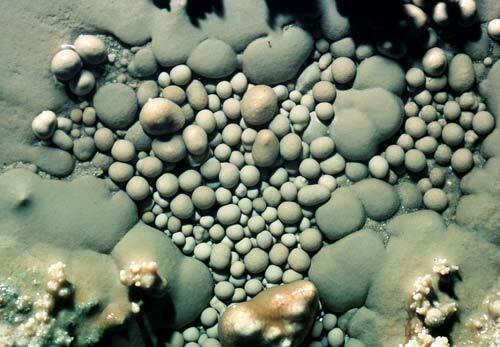 Also known as oolites, they are balls of calcite that have formed around fine grains of sand. These ones are on the floor of Honeycomb Hill Cave in the Ōpārara Valley, north of Karamea.